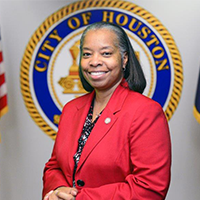 For more than 16 years, Jane Cheeks has served the City of Houston leading large-scale departmental consolidations, heading numerous citywide human capital improvements and successfully overseeing multi-million dollar budgets. As the Director of the city’s Human Resources Department, Cheeks leads more than 270 HR professionals in executing human resource strategies that improve City policies, programs and processes while mitigating company risk and financial costs. In 2011, Cheeks successfully improved the City of Houston's median HR support ratio from 1:38 to 1:117 by utilizing a matrix-driven model to transform 24 decentralized, independently-operating HR sections into a single, centralized Human Resources department. Most noteworthy, was Cheeks’ contribution to the city in the form of a systems helpdesk. In 2013, Cheeks single-handedly founded and established the City of Houston's TPS (Troubleshooting Problems Systematically) team, which now serves as the sole-source help desk for the technological support needs of HR staff who aid 22,000+ city employees. In HR, core beliefs in accountability, customer service and transparency help exceed the expectations of stakeholders and the community. Cheeks’ outstanding record of service echoes those same beliefs, and her innovative leadership style contributes to HR’s continued excellence. A steadfast pledge to excellence and an unwavering commitment to public service set the stage for Cheeks’ mission to create a sustainable future, while balancing the needs of HR’s clients. Cheeks champions the forward movement of Houston, and under her guidance, the city’s Human Resources Department will create sound partnerships across the city to bolster training, staffing, fair labor practices and affordable healthcare benefits. 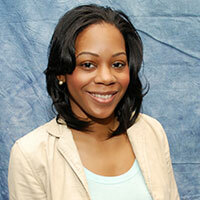 Jamaica Booker is a Sr. Communications Specialist at the City of Houston. She is a Social Media Marketing and Communications professional with a specialization in creating effective social media marketing campaigns and recruiting content that targets directly to job-seekers via niche recruitment sites and social media platforms. She helps to increase the awareness of the City of Houston’s employment brand in order for the City to become more competitive in their reach for qualified job seekers. Her highly effective sales and recruitment marketing techniques has allowed her to excel in building client relationships with organizations such as LinkedIn, The Muse and Hearst Media. She is a proud Alum of both Tennessee State University where she obtained her B.S. in Mass Communication and Texas Southern University where she received her M.A. in Journalism. Samantha Barnes is an Administrative Associate at the City of Houston. As a former flight attendant and school instructor with HISD, Samantha gained a level of expertise in administration and assistance. 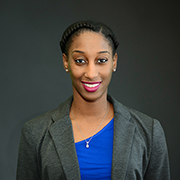 Samantha earned a Bachelor of Science in Sports Management and coming from a NCAA Division-1 athlete, she knows all about coaching a winning team. On the frontlines of service in various industries like the airline business and now public service, she has made it her duty to serve. Interest and Personal Goals She is most interested in staying current and interactive in news, sports, music and entertainment. Samantha is on a journey dedicated to learning more about operating a business so that one day she will build an empire that delivers extraordinary product and service.